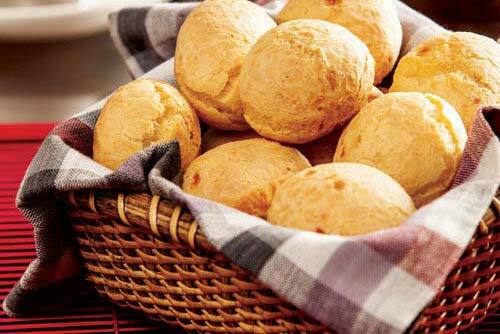 Pão de Batata & Cia offers the most advanced aspects of food service with the highest quality. Everything is done by passionate people, with the care and attention you deserve. Every detail, in every step, has a unique recipe: to offer the best for you and your client, from beginning to end. 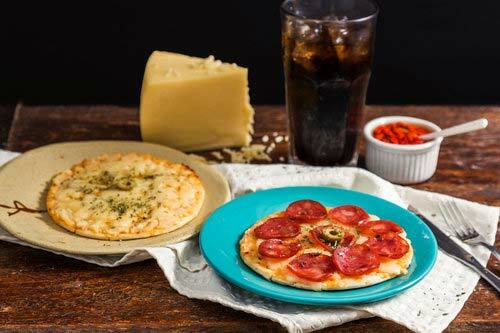 More than 80 delicious options to make a person’s day happier. A shorter name, a revitalized brand. The same company, the same recipes. 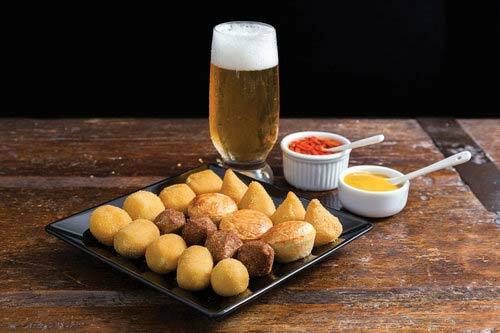 Original recipe from our founder Dona Carmen, since 1987, the pioneer, the true potato bread prepared with high quality ingredients and with real potatoes. You feel and know the difference in the first bite. 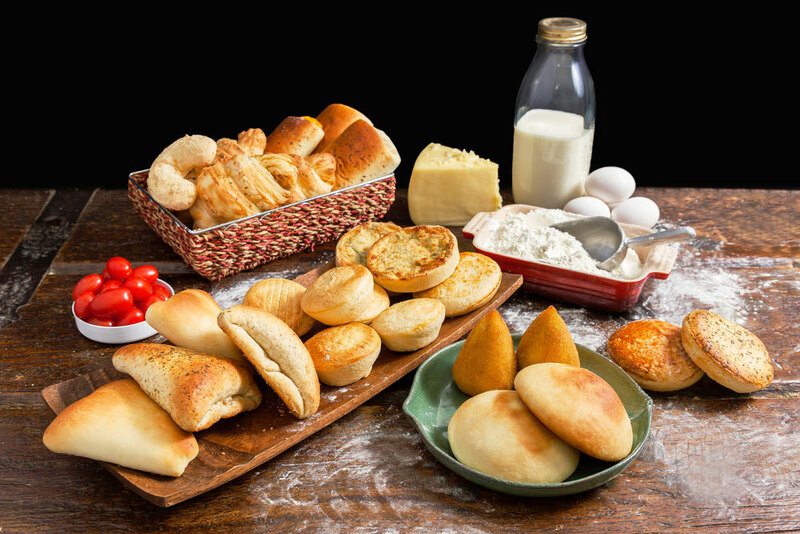 PB & Cia has been offering breads and snacks for cafés and snack bars and various solutions for the entire food service market with the highest quality since 1987. 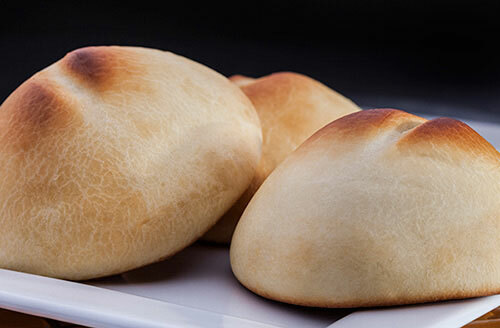 We created the first and original potato bread with creamy cheese that has now became a national passion. Everything is done by passionate people, with the care and attention you deserve. Every detail, in every step, has a unique recipe: to offer the best for you and your client, from beginning to end. SNACK ACADEMY: Personalized training on site or at our factory (in group or individual). 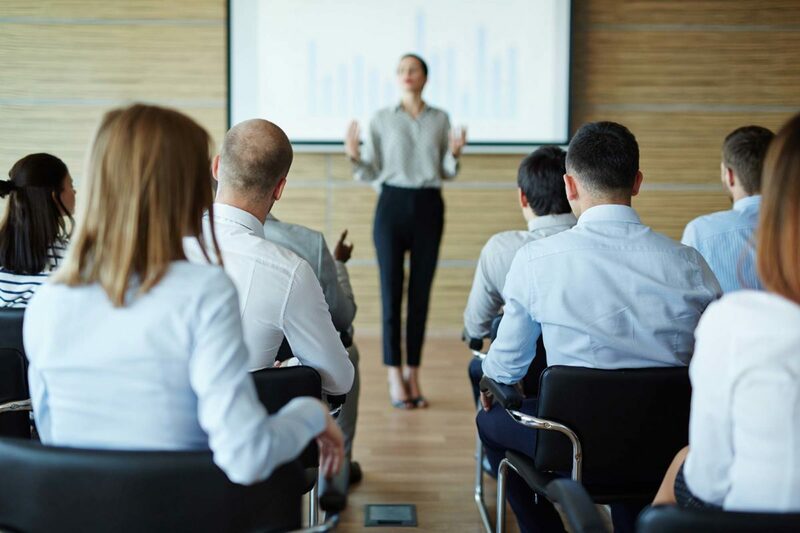 Schedule your training session! Our line includes more than 80 PRODUCTS. We have also developed Taylor Made. 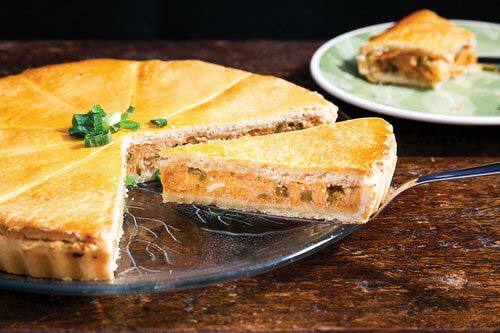 In 1987 Dona Carmen used to prepare tasty snacks at home for her two daughters who studied in the afternoons with college classmates. 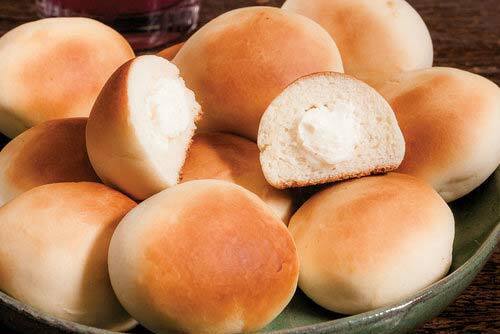 She would make a large serving of homemade potato bread served with soft cheese, jellies, and butter. 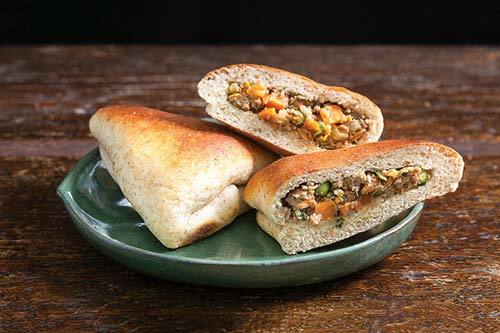 But she soon realized that bread in an individual format and with varied fillings would bring greater convenience and practicality for consumption. It wasn’t long before the potato bread with filling appeared in the college canteen and more orders came along to supplement the family income. 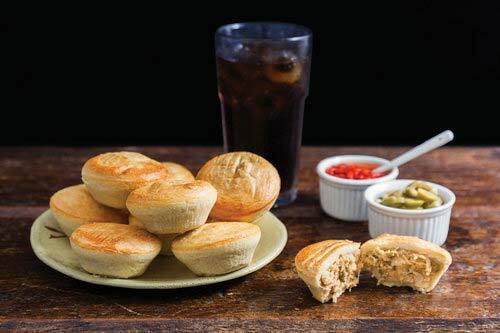 Even today, Dona Carmen continues to make her creations in the company’s experimental kitchen and puts the same passion as her first potato bread into everything she does. 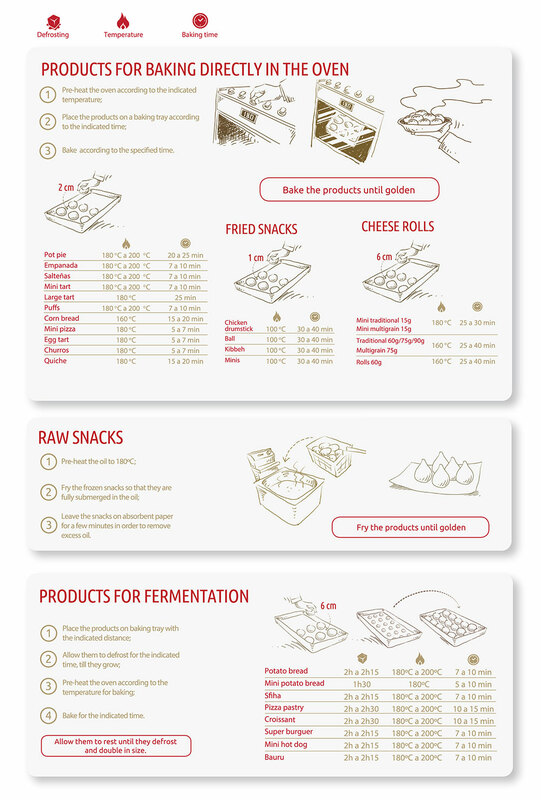 There are already more than 80 products for different moments in daily life, with high quality ingredients and production processes that are in compliance with sanitary surveillance standards and best manufacturing practices, attesting to the final quality of the products and recognized export standard. 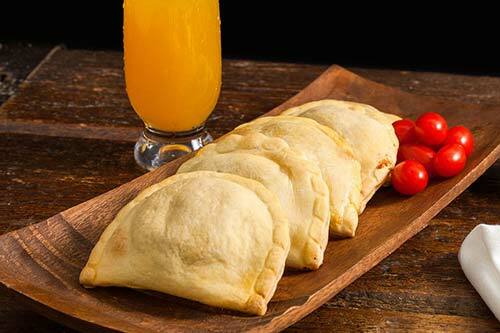 1987 – PIONEER – First recipe for potato bread with cheese. 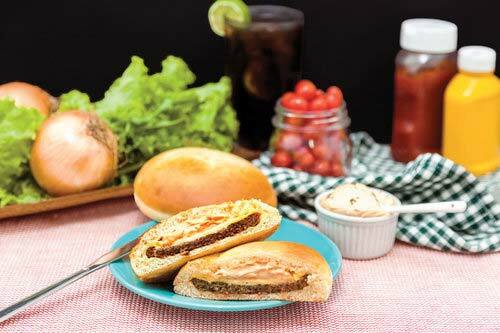 Created by Dona Carmen – founder and businesswoman behind Pão de Batata & Cia. 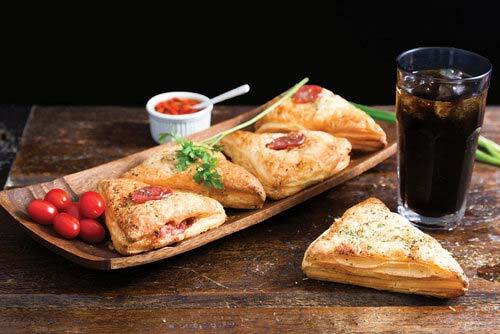 1992 – GROWTH AND DIVERSIFICATION of the potato bread production, with CHOICE OF FILLING, the 1st company to put frozen snacks into the food service. First factory expansion. 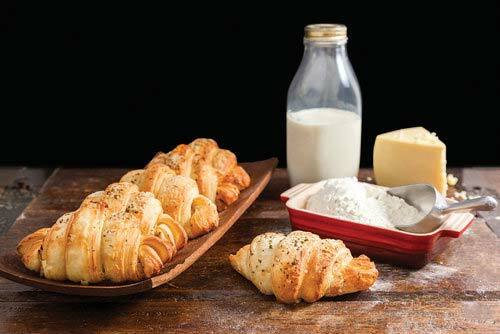 1995 – CREATION OF NEW LINES in the product portfolio: cheese bread, snacks, and more NEWS ITEMS are launched. 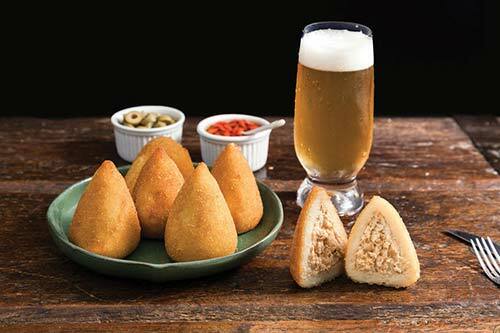 The 1st company to import machinery into Brazil in order to automate the production with more quality. 1998 – NEW EXPANSION of the factory to meet the growing demands of the market, creating a specific, differentiated logistics system for the food service with deliveries in up to 12h. 2005 – EXPANSION of activities in the state of Rio de Janeiro. NEW FACTORY in Diadema (SP), measuring 7,000 m². 2009 – Position in the LEADERSHIP and TRADITION market. FACTORY EXPANSION to 8,000 m². DISTRIBUTION to all of BRAZIL. 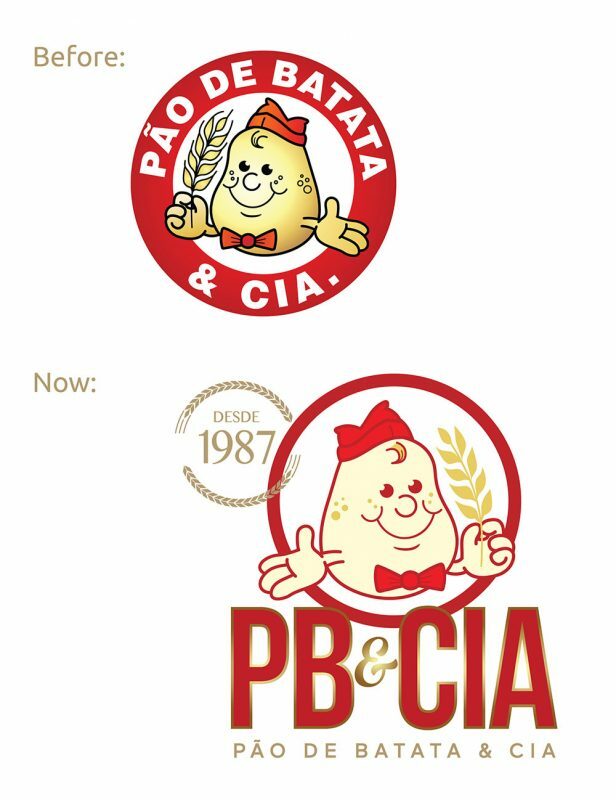 2016 – NEW PÃO DE BATATA & CIA. Total restructuring of the company, from brand positioning to revitalization of the factory and product line. 2017 – PB&CIA. Our brand revitalization. To celebrate our 30th anniversary, we present our abbreviated and revitalized brand, now as PB & CIA. The quality and recipes remain the same. We are constantly changing, aiming at sustainable growth, so we are creating new brands that will soon be launched for the diverse needs of the Food Service market. We are aware of our role and the opportunity to make social and environmental responsibility a legitimate mechanism for generating value. Full control of electrical energy savings. Since our foundation we have acted with integrity and responsibility. Our commitment is to feed the world in a responsible way, reducing our environmental impact and improving the communities in which we live and work. It is with passion that we pursue the goal of being a leader in food service through responsible action in the food market. Abenco promotes the integral development of people by expanding the opportunities that affect their lives, becoming agents of transformation in society. Centro de Apoio Mão Amiga Empowers children and adolescents preparing them for an independent life in society, strengthening family life by preventing and reducing the effects of social exclusion through social, educational and social assistance activities carried out outside of school and social monitoring of families. Daycare center that works where our former factory was located, where we help and support many needy children. This daycare center was named after our founder, Carmen Rodrigues, in her honor. Always with a great relationship with our costumers, we realized that they needed something beyond our products and services. They needed differentials from the competition in order to attract and retain more of their costumers. After 30 years of market experience, we have the possibility to develop these differentials, creating costumized projects of exclusive food products made according to each need. We offer our factory, our quality and our experience. These products are studied and developed in our Experimental Kitchen by a highly qualified team and with exclusivity according to requirements and needs of small or large demands. With the world more globalized, more competitive and more aware of its costs, optimization and partnerships are the current needs of any company, and outsourcing ends up being a great strategy for many outputs. Get in touch with our Sales Manegers and discover what we can do for you and your brand. Let the products defrost on the roasting pan under refrigeration for 12 hours. Protect them with food-grade plastic leaving a small opening for air circulation. Remove from refrigeration and allow to stand for 40 min. If it is very cold, some products should remain resting for longer. Place them in the oven and let them brown well. 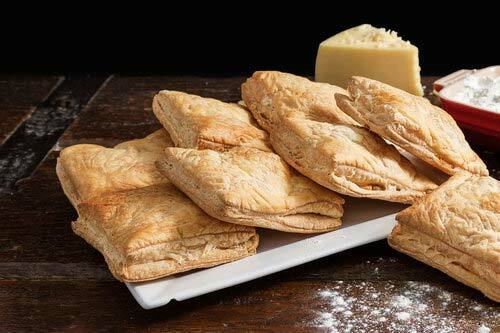 For the puff pastry and flaky pastry products allow them to obtain a golden coloration for a crisper product. Do not let the products thaw in the packages so they do not stick and become damaged. Do not use the microwave to defrost products. Do not place the products for baking in a cold oven – it must always be preheated to the recommended temperature for baking. 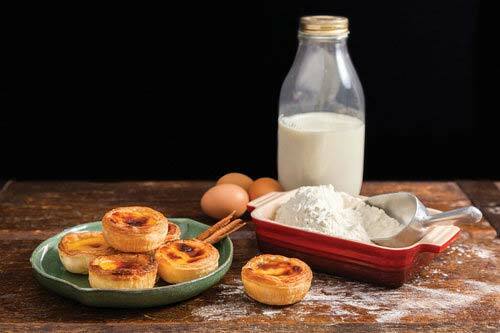 Avoid forcing the growth of pastry products on top of the oven so as not to compromise the layered pastry. According to the CVS 5 health legislation, products may remain on display at a temperature of at least 60 °C for 6 hours. Do not leave the products in direct contact with the base of the oven to avoid them drying out. Put 1 cup of water inside your display or oven as this helps to humidify the products and prevent them drying out. Or request training at your establishment. Come be a part of our family and have peace of mind in your business. No matter the size of the order, we serve individuals with lower values direct ​​from the factory. Place your order and check it out. Like our Facebook and Instagram pages 😉 and keep up to date with the network’s best delicacies.